Abstract: The scarcity of fuels derived from crude oil such as gasoline has lead to a search for another alternative fuels from other sources. One of the promising fuel technologies that has potential to substitute gasolineis bioethanol. An economic analysis needed to determine under what conditions bioethanol will be able to compete with gasoline. Life cycle costanalysis (LCCA) can be conducted in order to evaluate ethanol life cycle costs based on the conditionsdefinedin each case. The objectives of this paper are (1) to explain the term LCCA and (2) to show how LCCA is used to estimate the feasibility of bioethanol to substitute gasoline. Cases of LCCA developed in Thailand and China in which cassava is selected as raw material are presented in this paper. Six basic processes are explained in order to describe steps involved in LCCA. The reviews on the cases shows the selected cases share similarity on cost drivers inside the system and the ethanol production in China is more competitive than ethanol production in Thailand compared to gasoline. The conclusions of each study provide information that can be used by decision makers to encourage the application of bioethanol as a substitute for gasoline. Key word: Life cycle cost analysis, bioethanol, cassava, Thailand, China. The dependence on fossil fuel has been slowly decreased by many industrial and developing countries. The environmental issue become one of the reason why the world has tried to reduce the using of fuels based fossil. Another reason is the increasing price of fossil fuels in the last decade. This event has made fossil fuels become an expensive commodities. This phenomenon tends to be the cause of searching an alternative fuel based crops. An alternative fuel technologies has been developed to derived fuels from crops through a biological processes, which leads to term “biofuels”. Biofuelsare a wide range of fuels, which are in some way derived from biomass. 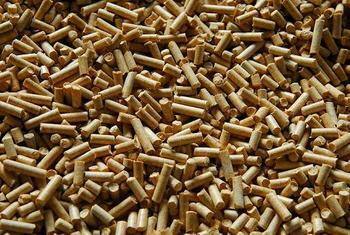 The term covers solid biomass, liquid fuels,and various biogases. Since gasoline is widely used as vehicle fuel all over the world, the alternative technologies to substitute gasoline become popular topic in some developing country. A potential candidate to reduce the dependence on gasoline is ethanol. Ethanol can be used as a fuel for vehicles in its pure form, but it is usually used as a gasolineadditiveto increase octane and improve vehicle emissions. However, ethanol is also by product of petroleum refining. Therefore, the term of bioethanol has begun gaining attention among public and scientists since the increasing of oil price in 1970s. A few decades later, the world started growing awareness onthe need to increase energy security, and concern over greenhouse gasemissions from fossil fuels. Bioethanolis an alcoholmade by fermentation process of the sugar components inplant materials and it ismade mostly from sugarand starchcrops. The latest advanced technology has used cellulosic material and algae to produce ethanol. The oxygen content in ethanol can improve the fuel combustion process, reducing the emission of pollutants such as carbon monoxide, ozone-forming unburn hydrocarbons and carcinogenic particulates . The development on fermentation technology has encouraged developing countries to start their own program to reduce the using of gasoline with bioethanol. However, to fully convert the fossil fuel into bioethanol, an economic analysis is needed to estimate its feasibility to substitute gasoline. There will be various factors in costs issues that can affect the potential of bioethanol to compete with conventional gasoline. Therefore, a Life Cycle Cost Analysis (LCCA) can be conducted based on fair comparison to provide the information needed to compare bioethanol and gasoline. This economic analysis will be explained further later on. The goals of this paper is (1) to explain the term LCCA and (2) to show how LCCA is used to estimate the feasibility of a product. A universal definition of the term LCCA will be hard to find. Since LCCA maybe applied in various types of system. Therefore, a standardized definition is needed to express the term generally. Kawauchi et al  in their publication report from Norwegian University of Science & Technology refer to international standard IEC 60300-3-3: Life Cycle Costing, defined LCCA as “ Process of economic analysis to assess the life cycle cost of a product over its life cycle or a portion thereof”. Another international standard can be found in National Institute of Standard and Technology (NIST) Handbook 135, 1995 edition , the NIST defined LCCA as “ the total discounted dollar cost of owning, operating, maintaining, and disposing of a building or a building system over a period of time”. By looking at the definition above it is clear that, in an attempt to improve the design of products and reduce design changes, cost, and time to market, LCCA has emerged as an effective approach to addressing these issues in today's competitive global market. LCCA provides a framework for specifying the estimated total incremental cost of developing, producing, using, and retiring a particular item. Therefore, one may conclude that main objective of LCCA is to provide information for decision making, e.g., in purchasing a product, in optimizing design, in scheduling maintenance, or in planning revamping . Procedures of conducting LCCA will be vary due to differences among the systems analyzed. However, Kawauchi et al  has summarized six basic processes commonly occured on conducting LCCA. The six basic processes are, “ Problems definition”, “ Cost element definition”, “System Modeling”, “ Data collection”, “Cost profile development”, “Evaluation”. The six basic processes will be explained further below. The first step of any LCCA is to clearly defined the scope of work that wished to be analyzed. The scope of work is correlated to the determining the cost elements. The scope of work, for instance, is assumption on condition of process conversion biomass to ethanol, model of equipment, and activities inside the plant. Then one should defined the evaluation criteria definition, this is the purpose of the assessment. Defined the operational philosophy development, one should have a clear philosophy on how to run the plant. As stated above, the main elements of Life cycle cost (LCC) are the acquisition and ownership costs. Therefore, one may begin to identify the costs included in the system and create the cost breakdown structure (CBS). The elements should be as detail as possible in order to create a better profile of costs involved in the system. For instance,one may divide the cost category into three parts. (1) Life acquisition cost, which include the purchasing, installing and commisioning the equipments, insurance and design and administration cost. (2) Life ownership cost, which include labor, spare parts, logistic and energy consumption over the lifetime of the project. (3) Life lost cost, which include cost caused by malfunction in the plant that requires the plant to shut down, the hazard cost and warranty cost. The most significant cost drivers in LCCA, are the availability and maintainability , one should create a proper model connecting the input parameters and the cost element. Generally, one should consider the (1) availability of production facilities, (2) maintenance and inspection modeling, (3) logistics modeling, (4) risk modeling, (5) human error modeling and (6) industrial ecology modeling. The accuracy of data collection is crucial to improve the certainty of the estimation. There are two ways to collect data in LCCA. First, one can use actual data. If the actual data is available, one just simply applied the collected actual data to the model of cost elements defined. If the actual data is not available, one can used the second way. The second way is to estimate the data relevant to the non-available data. The probable actual data available are the price of the feedstocks, equipments, chemical, water, etc. The probable unavailable data is the operation and maintenance cost. Usually, one can refer to data stored in operating companies and adjusted it to the system defined. A development of the cost profile is needed on making financial judgements. A cost profile over the entire Life Cycle (LC) will provide information of affordability analysis considering a long term financial planning. For financial judgement, one should also consider the effect of inflation, interest rates, exchange rates, taxation, etc. The ability of money to purchase the goods will also decreases through time. Since the cost elements consists in LCCA will be incurred some time in the future, one should discount all the expenses to a spesific desicion point. Since the cost profile is essential, all of the conducted cases should consider about it. The evaluation may consist sensitivity analysis and uncertainty analysis. Sensitivity analysis is used to examines the impact of changes in input parameters on the result. While the uncertainty analysis is an effort to consider possible ranges of the estimate and their effect on decisions. The uncertainty analysis estimate the uncertainties in LCCA, when it’s done a better figures will provide confidence and convinced decision makers in their judgements. Some case studies found to be conducted uncertainty analysis only. However, including the sensitivity analysis in the assessment help to improve the evaluation quality. Next is identifying the cost driver(s) in the system and used the information to make desicions. Cases of LCCA will be needed in order to show how the conductor used this tool to estimate the feasibility of a product. Therefore, three cases of LCCA will be selected according to system boundary defined below. The expected countries where the analysis are conducted, are the countries who develop bioethanol as a substitute for gasoline. Developing countries that have already started the conversion of crops to bioethanol for substituting gasoline are Thailand and China. The abundance production of feedstocks and development of technology has lead these countries to implement program regarding the urgency to subtitute the conventional fuel with biofuel. One of the main important factor that need to be considered is the availability of feedstocks used in the process. As stated above, feedstocks for ethanol production can be divided into two type, sugar based and starch based feedstocks. An assessment of potential availability feedstocks in Thailand has been conducted by Silalertruksa, and Gheewala . The study highlighted on three potential crops, i.e., cane molasses, cassava, and sugarcane. The objective of the study is to assure the sustainability of feedstocks supply to fulfill the demand on fuel ethanol.The authors recommend increasing the use of sugarcane juice, improving the yields of existing feedstocks, and introducing agricultural residues as raw material to maintain security on feedstocks availability for the purpose of ethanol production. They also identified cassava as a promising feedstock in the coming years, due to its ability to grow with minimum inputs, possibility for all year round plantation and harvest, high root productivity and high quantity of carbohydrate. Zhang et al  also considered cassava as a good feedstock to produce ethanol because its high starch content and abundant in the Southern province of China. To limit the study in this paper, only LCCA on bioethanol plant from cassava will be used as case study.Based on the considerations above, the following three cases have been selected for discussion. Case I: Life cycle economic analysis of fuel ethanol derived from cassava in southwest China by Zhang et al . The scope of study in case I includes the cassava plantation, the conversion to ethanol, the distribution of the fuel, the purchase of the vehicle and the fuel, the refueling infrastructure, and the operation, maintenance and repair of the vehicle. A lifetime driving distance of 120,000 miles is taken as a base comparison for both etahanol and gasoline. The cassava as a feedstock is processed into dry chips, the authors did not explain why they choose to used dry chip. However, it’s probably because dry chip is more suitable for long term storage. The ethanol conversion process contains liquefaction & saccharification, then fermentation process take place, the product then purified in distillation column. The concentration of ethanol at this rate about 95.5 %. For blending with gasoline, ethanol concentration should be at least 99.9%. Therefore, a rectification and dehydration are conducted to get higher concentration. The by-product consists of biogas, manure, CO2 and DDGS. Detailed flow sheet of ethanol conversion is shown in Fig.1. Case II: Life cycle cost of ethanol production from cassava in Thailand by Sorapipatana and Yoosin . The scope of study in case II is to determine the unit cost of ethanol. The unit cost of ethanol obtained by dividing the cost of 1 year operation by the annual capacity of the plant. Since the amount of calorific energy released by ethanol differ than gasoline, the authors decided to convert it into the same basis. The basis used is unit cost per 1 l of gasoline. Ethanol contains 20.5 MJ of calorific energy per liter, while gasoline contains 32.1 MJ of calorific energy per liter . Therefore, energy equivalency can be obtained by dividing energy content of gasoline with energy content of ethanol. The equivalent factor is 1.57, just simply multiplied the unit cost with this factor to get unit cost/1 l of gasoline. The feedstock used is fresh cassava, which means this case ethanol conversion should be lower than case I since the dry chip processing cost is eliminated. Unlike the other case, this case only gave a block diagram of the ethanol production process. Basically the process is almost the same like case I, but it’s more simpler. First, the fresh cassava is converted to fermentable sugar by enzymatic hydrolysis or acid hydrolysis, the fermentation process, purifying by distillation and dehydration. Fig.2 shows the schematic diagram of ethanol production process in this case. Case III: Life cycle cost analysis of fuel ethanol produced from cassava in Thailand by Nguyen et al . The scope of study in this case includes the cassava cultivation/processing, the conversion to ethanol, the distribution of the fuel, and all transportation activities taking place within the system boundary. The functional unit used for the comparison is a distance that a car can travel on 1 l ethanol in the form of E 10, a 10 % ethanol blend in gasoline. The ethanol production process in this case also almost like in case I, the differences occur are in this case the saccharification and fermentation process are combined, and the product is filtered first before purified by distillation column. Fig.3 shows the detail of ethanol production process for this case. LCCA contains many analysis in order to optimizing the plant design. However, the main idea of LCCA is to identify the costs that dominates the production cost. Therefore, in some way one may have to find how to reduce that costs. Another important feature of conducting LCCA is to establish a suitable condition for the project to become competitive with its competitor. Based on explanation above, two aspects will be analyzed to introduce the utilization of this economic analysis in order to have an optimized production cost. The two aspects are the cost driver(s) and the probability on modifying the design process in order to reduce the ethanol production price. By comparing the examples, one may find the differences in cost driver(s) and process production. By analyzing the differences, one may used the information to defined the factor that can be used to reduce the ethanol production cost. Cost driver(s) defined as LCC element which has the major impact on the LCC . To determine the major cost driver(s) in the selected case studies can be obtained by summarizing the cost elements. We will divide the cost elements into feedstock cost and ethanol conversion cost and see which one has the major impact to LCC. Table 1. Summarizes these costs. By comparing the feedstock price with the ethanol conversion price, one may find that the price of feedstock contributes more than 55 % from the total production cost. Spesifically, the contribution of feedstock price in example I, example II, and example III are 57.6 %, 59.2 % and 61 % respectively. From this figure, one may conclude the main cost driver in ethanol production is the feedstock price. The phenomenon occured in both countries. Therefore, the easiest way to reduce the ethanol production price is to reduce the feedstock price. However, it’s quite difficult to apply this method, the reducing of feedstock price will corresponds to farmers income. The farmers most likely prefer to plant another crops that has higher price in the market. The suggested way to reduce the feedstock cost is to increase the cassava crop yield . Case III also suggested a combination with reducing farming cost per rai (‘rai’ is the Thai measurement unit for land area; 1 rai = 0.16 ha). Fig 4 shows the cost elements share in each case. As stated above, the conversion cost may also impact the total cost. More complicated the process will caused more expenses. Fig.1, Fig.2 and Fig. 3 shows the flow sheet of the ethanol plant in each case. Detailed process can only be found in example I and example III. Therefore one may used both example to draw a comparison based on ethanol conversion costs. Table 2. Summarized all of the cost adjusted to year 2007, the details will be explained below. The referenced year suggested is year 2007. Since that year is the newest referenced year. However, the effect of inflation will reduce the purchasing power of money. Therefore, one may calculate the prices using inflation rates. The suggested inflation rates is 5 % per annum. The formula used to adjust the data is taken from Engineering Economy, Chapter 5 by Thuesen and Fabrycky , the formula is shown below. The basis for price must be clearly defined also, the suggested basis of ethanol price is in form of “1 L of gasoline”, and the price is in Thailand Baht (THB) currency. Therefore, after we adjust the data to year 2007, the total production cost from each example are multiplied by 1.57 giving the value 22.31; 20.00 and 29.59 (THB/l gasoline) for case I, case II and case III respectively. While the price of gasoline in year 2007 is 16.33 THB/l. At this rate ethanol production cost still most likely uncompetitive with gasoline. However, it’s interesting to analyzed the differences in ethanol production cost from case I and case III. The authors of case I promotes Guangxi Zhuang Autonomous Region in southwest China as the highest concentration of cassava cultivation in China. Case III was conducted in Thailand, spesifically in Nakon Ratchasima province. The differences in feedstock price between two cases probably because the farming cost in China is cheaper than Thailand. And also the cassava crop yield in China is bigger than Thailand. For instance, China can produce 45 tons/ha and Thailand 21.25 tons/ha. The crop yield in China is more than twice time in Thailand. The detailed of farming cost was not explicitly explained, but the differences in amount of labor and price of chemical probably become the reasons why the feedstock cost in China is cheaper than Thailand. By conducting these analyses, one may have important data to improve the production cost to an optimized level. For instance, if Thailand able to increase the crop yield and utilize more by product, then Thailand would have a bigger chance to promote ethanol as a substitute for gasoline. A review on selected cases based on its cost performance shows that the selected cases share similarity in major cost driver on the system, the feedstock price. However, the production cost in China is cheaper than Thailand. The ethanol production cost in China is 24.6 % lower than Thailand. This is most likely because the differences in crop yield and utilization of by product. If compared to gasoline price, the ethanol production in China is more competitive than ethanol production in Thailand. By using this information, one may used the information to improve the cost performance of a case study. In the end, LCCA will appear to be an effective tool to estimate the feasibility of a product. The author gratefully acknowledge the guidance of Asst. Prof. Dr. Chumnong Sorapipatana, by his advice, suggestion and motivation to complete this paper. Acknowledgments also are given to Dr. Sebastien Bonnet for his suggestion during the writing of seminar, Prof.R.H.B Exell and Assoc. Prof.Dr.Navadol Laosiripojana for precious correction of technical writing style and advice, respectively. Institute, W. (2007). Biofuel for Transport: Global Potential and Implications for Energy and Agriculture. Earthscan. London. Kawauchi, Y.and M. Rausand. (1999) Life Cycle Cost (LCC) Analysis in oil and chemical process industries.Norwegian University of Science and Technology (NTNU). Norway. 3] Fuller, S. K., and S. R. Petersen. (1996). Life Cycle Costing Manual for The Federal Energy Management Program. Handbook 135. 1995 edition. U.S. Government Printing Office. Washington D. C.
 Silalertruksa, T. and S. H. Gheewala, "Security of feedstocks supply for future bio-ethanol production in Thailand." Energy Policy 38(11): 7476-7486. Zhang, C., W. Han, et al. (2003). "Life cycle economic analysis of fuel ethanol derived from cassava in southwest China." Renewable and Sustainable Energy Reviews 7(4): 353-366. Sorapipatana, C. and S. Yoosin. (2010) Life cycle cost of ethanol production from cassava in Thailand. Renew Sustain Energy Rev, doi: 10.1016/j.rser.2010.10. Nguyen, T. L. T, S. H. Gheewala, et al. (2008). Life cycle cost analysis of fuel ethanol produced from cassava in Thailand. Renewable Resources. LCA Case Studies. Thuesen, G. J. and W. J. Fabrycky. (2001). Engineering Economy. Prentice Hall International Series in Industrial and Systems Engineering. 9th ed. Prentice Hall. New Jersey.